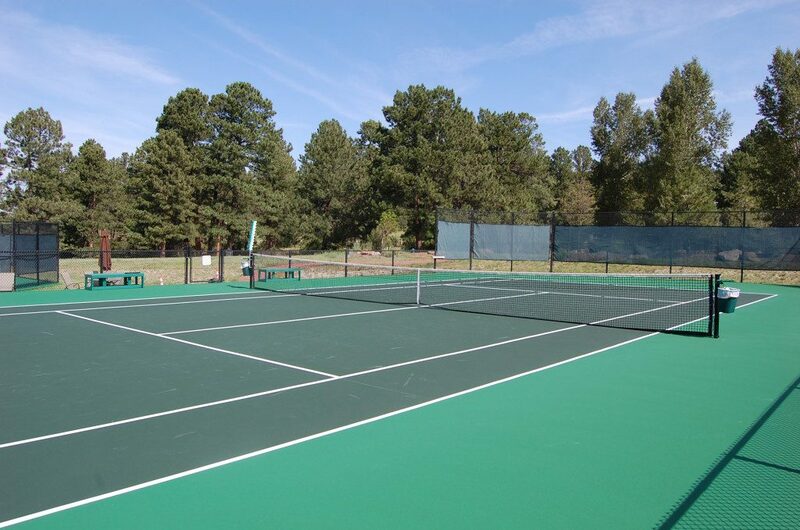 Tennis has become a vibrant and bustling part of the The Village at Castle Pines community. The Village boasts five state-of-the-art tennis courts, a practice court with backboard, a pickleball court, and a ball machine for individual practice. There will be many opportunities to meet with friends, work on your serve, and get your sweat on. Tennis activities in the Village are inclusive of all skill levels, from pros to beginners, and all ages. The Village offers lessons for adults and youth from local tennis professionals. Come to the courts for regular social events, drills, and competitive team play. Children’s programs are also very popular and featured throughout the tennis season.